U.S. 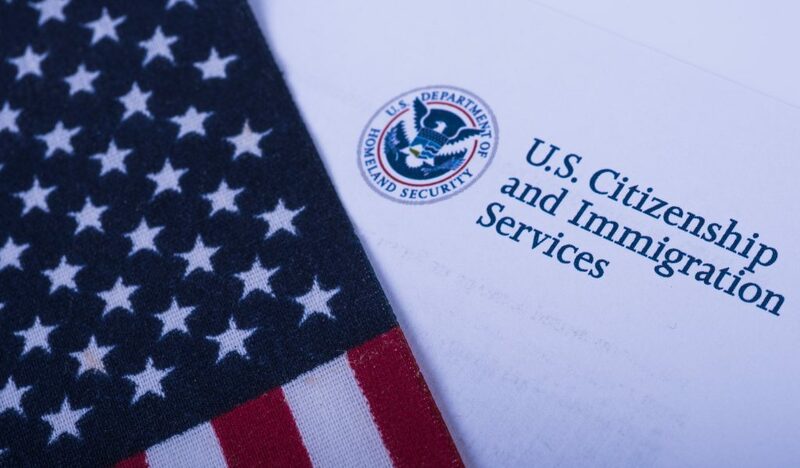 Citizenship and Immigration Services (USCIS) issued guidance to its officers in June instructing them to initiate deportation proceedings for certain applicants who were denied immigration benefits. At the same time, the agency put the guidance on hold and solicited comments from the public. On Monday, the guidance went into full effect, putting thousands of applicants at risk of deportation. USCIS’s new policy will lead the agency to issue “Notices to Appear” (NTAs), documents which formally initiate removal proceedings against a noncitizen, whenever the agency denies an applicant with no lawful immigration status a benefit which would have provided a path to remaining in the United States. While the authority to initiate removal proceedings is usually a matter for Immigration and Customs Enforcement (ICE), Congress has also given USCIS the authority to issue NTAs in some circumstances. In the past, the agency generally only issued NTAs in cases involving national security concerns or where required by law. When the policy was announced in June, critics argued that USCIS was being morphed into an immigration enforcement agency. In July, the agency imposed another new policy making it easier for adjudicators to deny benefits without first giving the applicant a chance to fix any errors. Taken together, these policies could lead to substantially more applicants being denied benefits and then being forced into any already backlogged immigration court system where they risk deportation. Where fraud or misrepresentation is substantiated. Where there is evidence that an applicant abused a public benefits program. Where an applicant with no lawful status is charge with, convicted of, or commits acts chargeable as a criminal offense, even if the offense would not lead to a denial of an immigration benefit. Where a naturalization application is denied on good moral character grounds because of a criminal offense. Where the applicant would be unlawfully present in the United States after a petition or application is denied. USCIS has now clarified that it will not issue NTAs in three major categories of cases: those involving initial or renewal requests for DACA, those involving employment-based petitions, and those involving “humanitarian applications and petitions” such as visas for victims of domestic violence or serious crimes. In addition, an NTA will generally not be issued immediately after a benefit is denied. The agency will only issue an NTA once the period for appeals has expired or after the applicant appeals and the denial of the benefit is upheld. Importantly, USCIS indicated that adjudicators will have the option to refer certain cases for review by a “Prosecutorial Review Panels.” This panel would evaluate the case in order to determine whether to exercise prosecutorial discretion and choose not to issue an NTA. However, it is expected that very few cases will qualify for prosecutorial discretion due to the enforcement priorities issued by then-DHS Secretary John Kelly which made everyone who is undocumented in the country a priority. Despite minor changes made to the policy since its announcement in June, the policy will likely have a chilling effect on immigrants trying to acquire status or renew status. Many undocumented immigrants seeking to acquire lawful status may choose not to risk an application for immigration benefits, knowing that if the application is denied they put themselves at risk of deportation. The policy will drive more immigrants into the shadows rather than encourage people to come forward and seek lawful status.